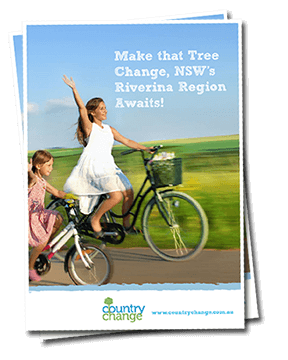 Country Change Expo: It’s time to register and get to know your future town! In its second year, the Country Change Expo is all about locals showcasing their community and welcoming you for a weekend of hospitality and adventure. This year, Cootamundra is opening their doors to host the event in conjunction with their local country show, a true local experience! There will be council staff, estate agents, employers and other residents from the shires of Cootamundra-Gundagai, Coolamon, Junee and Temora there to share their advice and answer you questions but first – let’s get a little more acquainted with these lovely Riverina towns! Cootamundra-Gundagai is home to 11,500 people, which includes the residents of the council’s two main towns Cootamundra and Gundagai, as well as the villages of Adjungbilly, Coolac, Muttama, Nangus, Stockinbingal, Tumblong and Wallendbeen. Famous for a number of reasons, from being the birthplace of legendary cricketer Sir Donald Bradman, to its stunning local wattle, Cootamundra is home to nearly 7000 people, and the median age of residents is 49. Gundagai is the iconic Australian town featured in many songs and poems, and is home to the famous Dog on the Tuckerbox monument. 2000 people live in Gundagai, where the median age is 46. Just a 4 hour drive from Sydney, less than 2 hours drive from Canberra, and only 1 hour from the major regional centre of Wagga Wagga and its domestic airport, the towns of the Cootamundra-Gundagai Regional Council are very well connected. Cootamundra’s railway station is on the Main Southern railway line between Sydney and Melbourne, while Gundagai is on the Hume Highway, the direct route between Sydney and Canberra. There are also coach services to Sydney, Melbourne and Canberra that stop in Gundagai. With Woolworths and IGA supermarkets, large chain stores including Target Country and Mitre 10, as well as many small boutique and specialty stores, you can pretty much always get everything you need in Cootamundra-Gundagai. But if not, the regional city of Wagga is just an hour away and offers all the shopping opportunities you’d expect to find in a city. 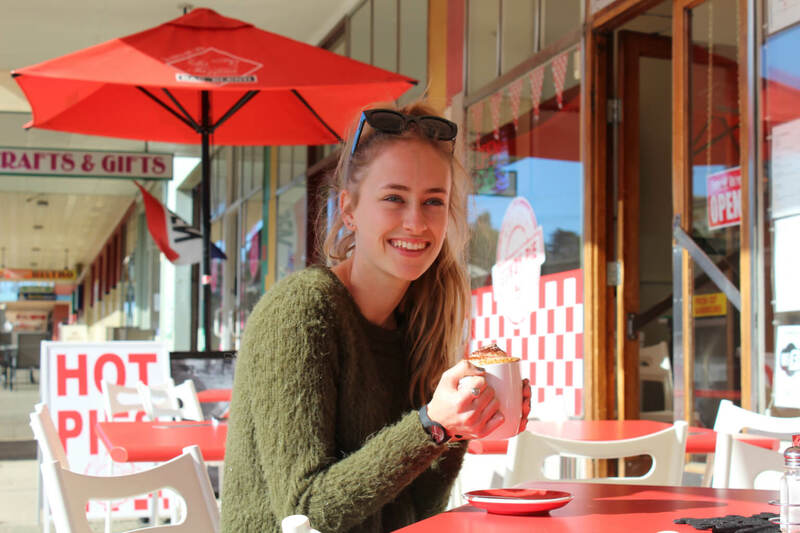 There are also plenty of options to choose from when sending your kids to school in Cootamundra-Gundagai, including both public and private schools from pre-primary through to year 12. Cootamundra also has the Eloisa Special School, which provides education and employment training for people with a disability, while both towns offer young families childcare options for children as young as 6 weeks, as well as preschools and after school hours care. Charles Sturt University, TAFE NSW Riverina Institute campuses, as well as Rural Clinical Schools of both the University of New South Wales and the University of Notre Dame are just an hour’s drive away in Wagga. Both Cootamundra and Gundagai have accredited local GP practices, 30-bed public hospitals, aged care and respite facilities, as well as a broad range of community health services from mental health to physiotherapy. The council’s hospitals are a main employer for residents, along with the retail, aged care residential services, local government administration and agriculture industry sectors. Cootamundra-Gundagai has a great range of community programs, sports clubs, arts and culture clubs, drama and dance groups. Community, service and social groups include The Arts Centre Cootamundra, Rotary Clubs, Lions Clubs, the Gundagai Neighbourhood Centre, and Gundagai Rodeo Club. There are also many places of worship located in the are, including Anglican, Baptist, Catholic, Uniting and Presbyterian churches. The nearest mosque is just an hour away in Wagga Wagga. In Cootamundra-Gundagai you’ll have no trouble finding the right sports club for you or your kids, with heaps of facilities catering to Australian rules football, basketball, bowling, cricket, croquet, cycling, golf, netball, horse riding, soccer, squash, rugby league, swimming and tennis – just to name a few. Fishing and kayaking are also some favourite pastimes for locals and visitors to the area. Gundagai has a rich heritage of pioneers, gold prospectors and bushrangers, that can be easily explored through walking tours, heritage trails, local museums and monuments. Visitors and residence alike love the Old Gundagai Gaol and Courthouse, the Australian Road Transport Heritage Centre, the Dog on the Tuckerbox Walk Trail, the River Walk and the Architectural Heritage Walk. Some of the council’s annual events include the Coota Beach Volleyball Carnival, Picnic Races, Cootamundra Annual Classic (cycling handicap race) and the Wattle Time festival. There are some great social media pages and groups all about life in Cootamundra-Gundagai, including Cootamundra Herald, Cootamundra-Gundagai Regional Council, and Cootamundra Community Hub, Gundagai & it`s people and Gundagai Main Street Art & Stories. If you want more details on education, medical services and careers in Cootamundra-Gundagai, you’ll find it all here. A 5 hour drive from Sydney, you will find the lovely heritage streetscapes of Coolamon. A leading producer of wheat in NSW, Coolamon offers a relaxed rural lifestyle combined with access to great services and facilities both in the town, and 30 mins away in Wagga. Locals enjoy easy access to Wagga Wagga airport, and the NSW TrainLink rail service connects Coolamon directly to Sydney and Griffith. The median age of the town’s 2000 residents is 42. In the town you’ll find all the basics and beyond, with a Foodworks supermarket, a butcher, bakery, pharmacy and an abundance of boutique stores specialising in antiques, giftware, homewares and art. For the city retail experience, locals often make the very quick drive into Wagga. With Wagga and its tertiary institutions so nearby, the higher education sector is one of the main employers for Coolamon residents. Other major employment sectors include local government administration, grain growing and animal agriculture. In addition to the nearby tertiary education campuses, Coolamon has one private primary school and a public K-12 school, as well as childcare options for children aged six weeks to school age. Coolamon Regional Medical Centre is the town’s local accredited GP practice, and Coolamon Multipurpose Service is a 14-bed public hospital providing emergency, inpatient and residential aged care services, including palliative and respite care. This hospital is a base for local community nursing and a range of visiting services including an asthma educator, diabetes educator, dietetics, women’s health, occupational therapy, speech pathology, mental health and counselling services. 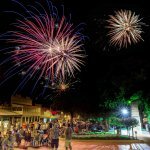 The Shire of Coolamon prides itself on being one of the best places for entertainment in the Riverina, and hosts community events throughout the year, including art shows, triathlons and music festivals. Like many regional towns, Coolamon offers a variety of sporting clubs, including angling, bowling cricket, horse riding, netball, golf, swimming and tennis. The Murumbang Nature Walk and Kindra State Forest with its bike and walking trails are some of the favourite outdoor activities of locals and visitors alike. There are also a number of places of worship located in Coolamon, including Anglican, Catholic, CRC and Uniting churches, as well as a Mosque nearby in Wagga. This pretty town with a celebrated railway heritage is also located just 30 minutes from the regional city of Wagga Wagga. 4.5 hours drive from Sydney and 2.5 hours from Canberra, Junee has maintained its elegant architecture from the glory days of the railway, and combined it with a great modern culture and lifestyle. Nearly 5000 people live in Junee and the median age of residents is 38. Farming, agricultural processing, correctional services, retail and hospitals are some of the major employing industry sectors in Junee, which is home to a Super IGA and a number of specialty and boutique stores. Shopping and employment opportunities in nearby Wagga are also conveniently available to Junee residents. Junee offers a range of childcare options to suit the needs of your family, and also has 2 public primary schools, 1 public high school, and a private primary school, as well as a number of further education opportunities on offer in Wagga Wagga. In addition to providing emergency, medical and residential aged care services, including palliative care and respite, the Junee Multipurpose Service, a 38-bed public hospital also provides community nursing, child and family services, diabetes education, physiotherapy and mental health services. There is an accredited local GP and an Ambulance Service of NSW station in Junee. For those who love a bit of history, the town’s heritage is on display at the Junee Roundhouse Museum, Monte Cristo Historic Homestead and Junee Gold Trails. There are many churches, community and social groups in to get involved with in Junee including Apex, Lions Club, Junee Walking Club and the Country Women’s Association. Some of the sporting facilities, clubs and teams in Junee include cricket, golf, bowls, tennis, netball, pony club, rugby league, soccer and swimming, but locals also enjoy other outdoor activities such as camping, fishing, swimming or sailing at Bethungra Dam. Known as ‘the friendly town’, Temora is a 4.5 hours drive from Sydney, less than an hour from Wagga Wagga, and surrounded by rich agricultural areas that produce wheat, canola, cereals, wool and honey. Temora is also known for the Temora Aviation Museum, which is home to one of the world’s best collections of flying vintage warplanes. More than 4500 people live in Temora, where the median age of residents is 47. There is a Woolworths, Target Country and Harvey Norman in Temora, as well as number of specialty and boutique stores. The main industry sectors employing residents of the Temora are farming, retail, local government administration, primary education and aged care residential services. A number of great schooling options are available in Temora, which has three primary schools and two high schools (one public and one private), as well as a range of childcare options to suit the needs of your family. There is also a TAFE NSW campus in Temora for those who are looking to further their education and employment training. Temora has 2 accredited GP practices, Temora Medical Complex and Victoria Street Sugery. The recently refurbished and upgraded Temora Health Service is a public hospital delivering maternity, surgical, and aged care services. Local staff deliver a range of community health services including physiotherapy, mental health and transitional care, with extra services provided by visiting staff. Temora’s aviation history and local flying conditions make it ideal for aviation, gliding, hot air ballooning and major aviation-themed events. The shire also hosts a variety of other events throughout the year, including local fetes, seasonal festivals, sporting events, and The Temora Show is this weekend! Sporting facilities clubs and teams in Temora include cricket, golf, Australian rules football, netball, soccer and bowling. Local community, service and social groups in include the Temora Rotary Club, Temora Aero Club and Temora Apex, as well as a number of churches in the town and mosques nearby in Young and Wagga Wagga. Don’t forget to register for the 2018 Expo! Want to check out the local real estate, schools, sporting and medical facilities while you are in the region? No problem! Once you’ve registered for this free event, we can organise a personalised town tour with locals – people that could soon become your neighbours! Whether you’re looking to set up a business, give the kids a country upbringing, or want to join a strong community tribe, a Country Change could be what you’ve always dreamed of. With lower house prices, great access to education and medical facilities, and loads of opportunities and adventures to be had, what are you waiting for? 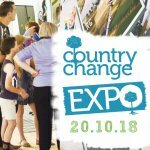 Register your interest now to attend the 2018 Country Change Expo. It’s free! And by registering, you will receive all of our updates and vital information to help you through the decision of your potential big move!